MANUFACTURERS are losing more than $50 million in potential sales by not listing protein content on food and drink packaging, thus missing out on the protein trend sweeping the world, research shows. In Australia, sales of items that list protein content have leapt by 22 per cent compared to 2 per cent in total grocery growth, with the fastest growth in dairy and chilled meals, the Nielsen data shows. This trend was even higher in America which saw a 157 per cent increase in sales of produce that listed protein content in just one year. New products in the meat alternative, peanut butter and ice cream categories are addressing consumers’ protein desires head on, which has prompted incremental category growth of between 16-54 per cent. Other categories, such as nutritious snacks that have protein claims on packaging saw 6 per cent growth in the past year, while products that qualify for high protein claim, but failed to list protein content on packaging grew just 3 per cent. 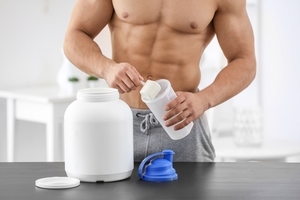 Targeting the right audience is key for brands to achieve protein growth as different demographics consume protein for different reasons and at different times. For example, young families will buy protein products to compensate for not eating animal products, while dairy is the top category for high protein items chosen by senior couples for health reasons.